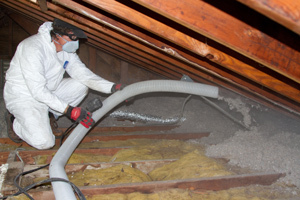 Is your home too hot in the summer or too cold in the winter? Do you spend your time wishing you could achieve a constant, even temperature throughout the entire year? In business since 2009, Dr. Energy Saver has many years of experience making these dreams come true for local homeowners. 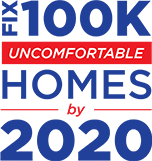 Specializing in insulation, heating and cooling systems, and home energy audits, we have the skills and products you need to live in a more comfortable, affordable home. Our main goal is to efficiently and accurately diagnose the problem with your home's energy efficiency and find the solution that works for your needs. As a total home performance company, we're not only interested in finding out if your HVAC is broken, but we also want to see how all of the energy elements of your home work together. Every action we take is only to benefit you! Ready to make your home more livable all year long? Give us a call and see how we can help fix any problem you might be experiencing, whether it's an old heating system or faulty insulation. We serve homeowners throughout Northwest Arkansas - contact us today! When you're sweltering in the summer heat or are huddled up in a mountain of blankets in the winter, it's easy to blame your heating or cooling system for the problem. 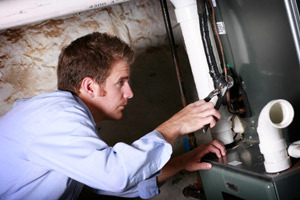 But oftentimes, even if your HVAC is broken, there are also other issues at play. Without proper insulation, all of the hot or cold air pumped out by your HVAC can simply be lost to the outside world. Dr. Energy Saver professionals offer home energy audit services to help you pinpoint exactly where your home is losing energy. By doing this, you can save thousands in energy bills and ensure your home stays temperate. And if the problem is just a small concern with your HVAC, we'll be more than happy to fix that for you as well! We all deserve to be comfortable at home, so if you're not totally happy with the performance of your HVAC or insulation, you owe it to yourself to call in a professional. Dr. Energy Saver's friendly, knowledgeable technicians will help you come up with a plan that works for you! Interested in repairing or replacing your heating or cooling system, installing insulation, or performing a whole home energy audit? Call us at 1-888-370-6924 or contact us online to schedule an appointment today! 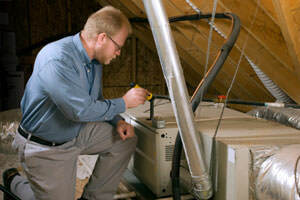 We offer our home energy performance services throughout Springdale, Fayetteville, Rogers and areas nearby.